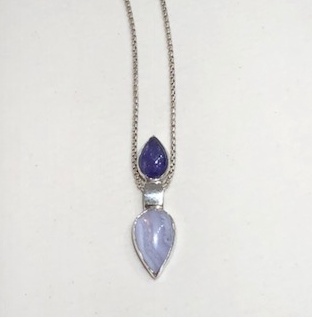 Teardrip Tanzanite and Agate stones set in Sterling Silver pendant on a Argentium SS chain. 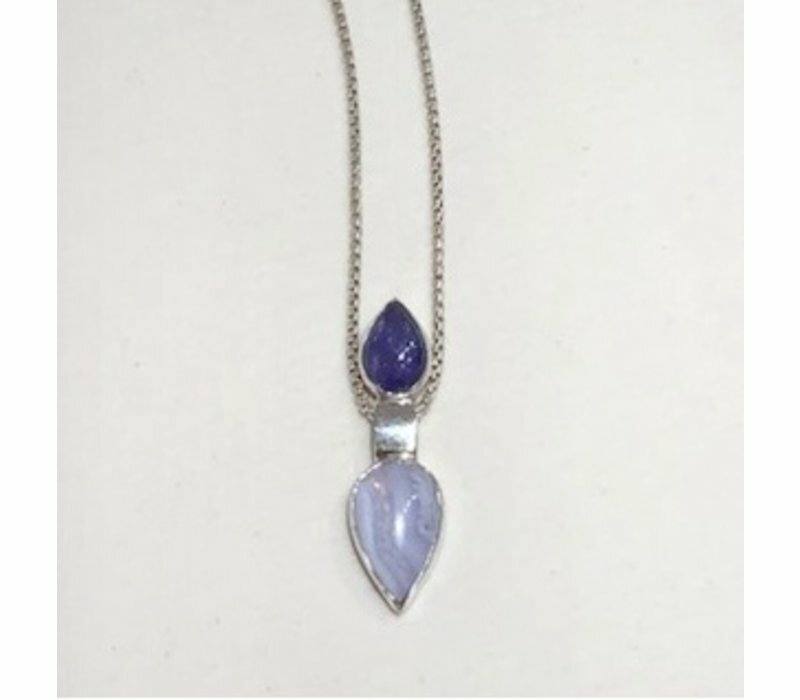 Beautiful complimentary purple toned stones on an argentium silver chain. The top stone is the rare Tanzanite cabochon and the bottom stone is a Blue Agate cabochon.